OVERLAND PARK, Kansas - Global Connections, Inc. (GCI) has completed major interior renovations to its Breckenridge, Colorado resort, Lodge by The Blue. Global Connections has completely renovated the two story lobby including the addition of all new distressed wood flooring. The addition of antique-style gas lantern wall scones and a multi-tiered elk antler chandelier enhances the ski chalet atmosphere as does the authentic Navajo rug laid in front of the vintage open-faced stone fireplace with an Elk trophy mount. The lobby walls have been redecorated with teal and jute, and the après ski wine bar now sports granite counter tops. In addition, GCI has created a game and book lending library for guests as well as a convenience mart with sundries, snacks and outdoor supplies. Guests at the family resort may choose from a number of spacious room sizes from suites to one-two bedrooms, and studios. 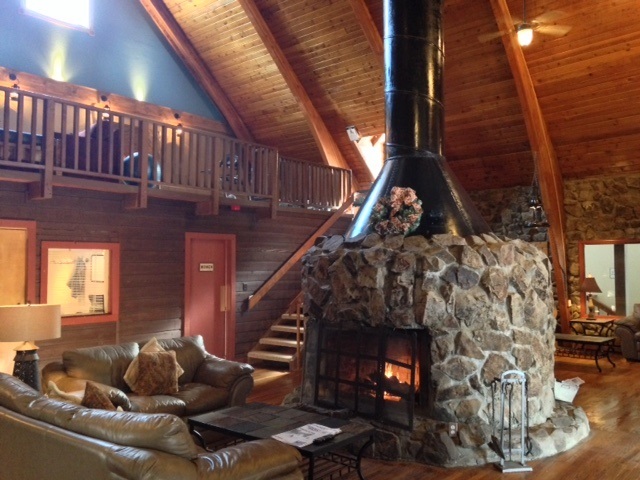 The resort features include a heated indoor swimming pool, 10-person hot tub, and fitness center. 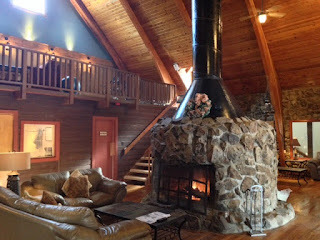 The gigantic stone fireplace in the center of the lobby is a popular place for relaxing after a strenuous day on the slopes. Global Connections, Inc. is based in Overland Park, KS, opening in 1996 as a travel club fulfillment and service provider. Considered a leader in the travel club industry, GCI offers the members of its Global Discovery Vacations club program a wide variety of leisure benefits and vacation options at more than 700 North American resorts. GCI is the developer and owner of resorts in California, Florida, Tennessee and Colorado as well as owning and leasing multiple resort condominium units throughout the U.S., Canada, Mexico and Caribbean. Global Discovery Vacations is a respected membership based travel club offering its members access to condominium accommodations, cruise and tour vacations, a full service travel agency, a concierge program, and other leisure benefits.